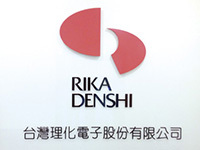 RIKA DENSHI Group pledges to respond to the ever-changing needs of customers through our collaborative network with our international divisions. 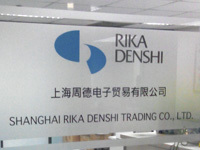 TAIWAN RIKA DENSHI CO., LTD.
2F-2, No.25, PU-DING ROAD, HSIN-CHU 30072, TAIWAN R.O.C. 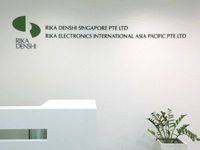 RIKA DENSHI SINGAPORE PTE. 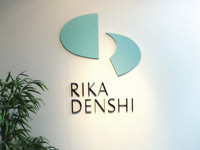 LTD.
RIKA DENSHI MALAYSIA SDN BHD. Jalan SS15/4G 47500 Subang, Jaya Selangor Malaysia. 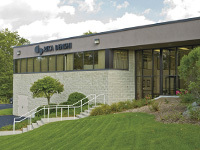 112 Frank Mossberg Drive, Attleboro, MA 02703-4632, U.S.A.
SHANGHAI RIKA DENSHI TRADING CO., LTD.
© 2004-2014 RIKA DENSHI CO., LTD. All rights reserved.